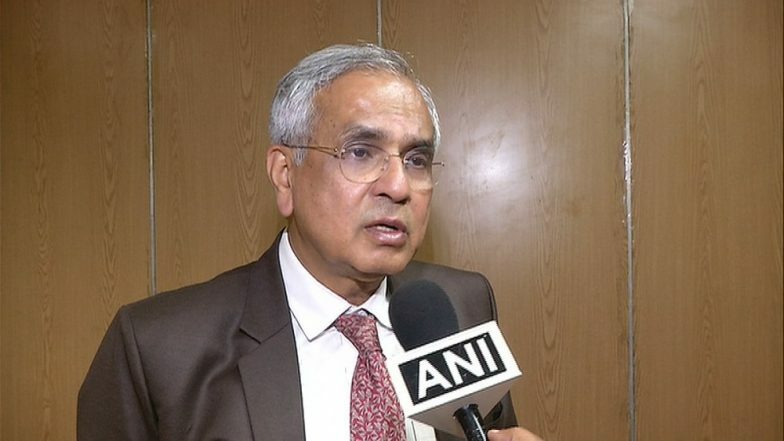 New Delhi, March 25: Niti Aayog Vice-Chairman Rajiv Kumar on Monday took a dig at Congress President Rahul Gandhi for promising minimum income support to poor families if the party comes to power. Kumar tweeted, “True to its past record of promising the moon to win elections, Congress President announces a scheme that will burst fiscal discipline, create strong incentives against work and which will never be implemented.” Rahul Gandhi Explains Congress' Minimum Income Guarantee Scheme, Promises 'Rs 72,000 Per Year to 20% Most Poor Families'. The Niti Ayog vice-chairman in another tweet said that the cost of the Minimum Income Guarantee scheme at two percent of Gross Domestic Product (GDP) and 13 percent of the budget would ensure that real needs of people remain unsatisfied. While speaking to news agency ANI, Kumar stated, “It's an old pattern followed by Congress. They say & do anything to win elections. Poverty was removed in 1966, One Rank One Pension was later implemented, everyone received proper education under Right of Education! So you see then can say&do anything. " Minimum Income Guarantee Scheme: Arun Jaitley Calls Rahul Gandhi's Rs 12,000 Income Promise A 'Bluff'. On March 25, Gandhi in a press conference said that those earning below Rs 12,000 annually would get minimum income support of Rs 6,000 per month. The Congress President added that the move to provide Rs 72,000 annually to poor families would benefit 20 percent of the poor population in India. Gandhi said that the minimum income of an Indian per year must at least be Rs 12,000 per month.